In case you haven't noticed, if given the option of going somewhere warm and going somewhere cold, I usually end up in the cold place. 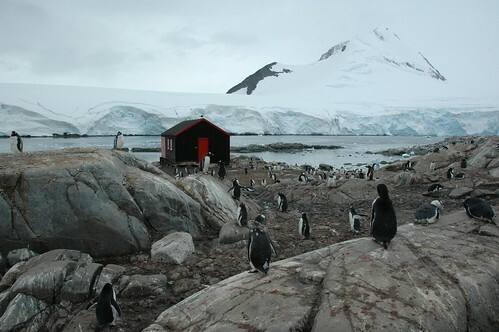 I don't know why this is, but in honor of that and Børge Ousland's most recent expedition (and because it's too soon to feature the North Pole), this week's World of Wonder is Antarctica. The world's coldest, driest, highest, windiest continent, it's a pretty inhospitable place. Discovered in 1820 by Fabian Gottlieb von Bellingshausen and Mikhail Laza rev, it remained unnamed until the 1890s because so few people wanted to go to such an isolated place. 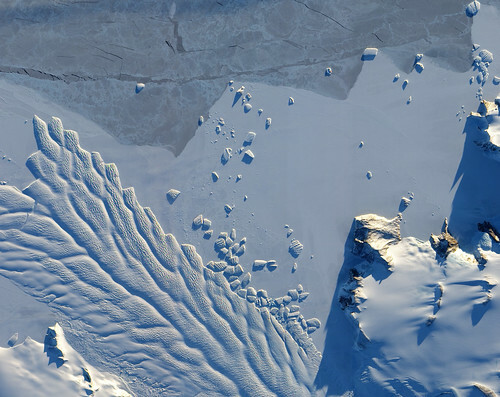 In 1959, the Antarctic Treaty ensured that no military activity or mineral removal would take place there, and that the continent would be available for scientific research. I'm not really sure why, but it's semi-latent drea m of mine to go to Antarctica, probably because I don't know anyone who has ever been there. There are certain cruises that run out of Chile, and it seems like going hiking in Chile for a few weeks, followed by a cruise to Antarctica would be a really epic trip. I don't think I'd call it my dream trip (I still haven't decided on that, but it might be traveling across North Africa), but it does sound interesting. Far-flung corners often are. Hey I'm pretty close to there right now and when the wind blows it is cold, as can be expected.